Can a New Approach Mean the Search for Actual Cyber Security Is Finally Over? As technology continues to develop at a riveting pace, both businesses and individuals have become extremely vulnerable to cyberattack. Hackers are engaged in a relentless pursuit of ways to outsmart and outflank defensive technologies, many of which have proven insufficient in putting a stop to the entire scope of the threat. As cyberattacks constitute the biggest risk to the world of big business today, cybersecurity is becoming absolutely imperative. Nyotron, a privately-held cybersecurity company, is offering a revolutionary solution through a comprehensive system of protection called PARANOID, which is unique in that it is the industry’s only OS-Centric Positive Security system. The PARANOID approach leverages agent/server architecture to understand what normal computer behavior looks like and what to do when suspicious behavior tries to access or damage data on an endpoint. This architecture gives PARANOID the ability to stop any attack, regardless of the type of threat or the methodology used to infiltrate the network. Using this Threat-Agnostic Defense approach, PARANOID can detect and block unknown threats that other technologies cannot by working with antiviruses already installed on endpoint systems to defend against what those antiviruses may have missed. The system can be managed by the clients themselves, by a Nyotron service team, or by a third party. Ingram Micro, a burgeoning American software-distribution enterprise with $43 billion in annual revenue, a total of 33,000 employees, and a tremendous global presence, was impressed by Nyotron’s technology and vision and has invested $10 million in the company. This move came after Ingram Micro had already entered into a distribution agreement with Nyotron several months ago, whereby PARANOID was offered on the Ingram Micro Cloud Marketplace. Ingram Micro’s leadership has been vocal in its support and commitment to the partnership with Nyotron, which will greatly bolster Nyotron’s international renown. Headquartered in Israel and in Santa Clara, California, Nyotron has been creating and marketing advanced software specializing in protection and defense from cyberattack since 2008. The partnership with Ingram Micro was the product of the efforts of Chief Technology Officer Nir Gaist and investor Meir Shamir. Nir Gaist, who was a child programming prodigy and founded Nyotron at an early age, has a vast amount of experience in cybersecurity and has helped enhance the security postures of the Israeli police, the Israeli parliament, and Microsoft’s Israeli branch. Meir Shamir, who serves as the CEO of Mivtach Shamir, had the foresight to understand and invest in Nyotron’s capabilities and holds 30% of Nyotron’s shares. 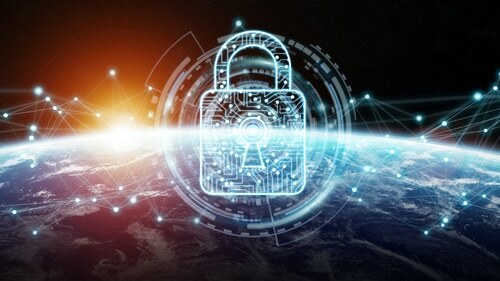 With a profound understanding of cybersecurity, the company’s objective is to make the cyber world a comprehensively safer place through cutting-edge technological infrastructure. Nyotron has earned five stars from SC Magazine’s review of Endpoint Security Platforms, won gold in the 2017 IT World Awards for Endpoint Security, and was designated by Cyber Defense Magazine as the 2017 Hot Company in Endpoint Security.